Those who are in search of a trustworthy name for handling refrigerator repairing needs can count on us. Refrigerators are indeed an indispensable part of every household that run 24×7; this can cause any fault in the machine system. Max Appliance Houston is counted among the leading service providers for fridge repair in Woodlands or refrigerator repair in Woodlands. 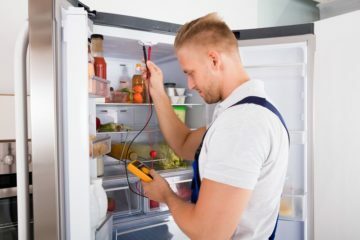 Whatever trouble you are experiencing with your refrigerator, be it improper cooling, water leakage, light not working or any other issue, we can instantly troubleshoot the problem to find an effective solution for your fridge. So, get in touch with us anytime for quick and cost-effective fridge repair service. We have a mobile facility for rendering on-site solutions for Fridge repair in Woodlands. Besides, we own a spacious facility laced with modern repairing tools and work methods to restore factory settings in less time. With us, quick and cost effective repairing solutions are assured. So, whenever you seek repairmen at your place for effective refrigerator repair around Woodlands, ring us on the given numbers. 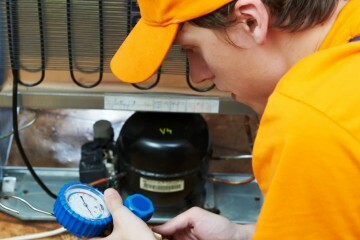 Our associates would love to assist you in your refrigerator repairing needs. The fee we charge for our services is reasonable, so reach us through our contact us page.